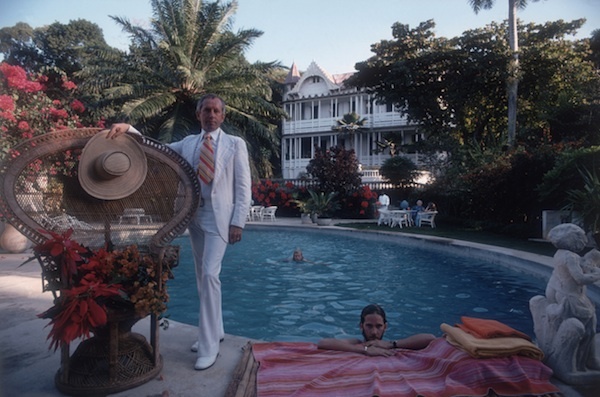 A nostalgic celebration of the glamour of warm-weather destinations in the Caribbean and Florida, from the great estates of ambitious patrons to the most exclusive resorts of the mid-twentieth century. Through iconic photography capturing the cultural mood at the moment when social codes relaxed from the formality of the Gilded Age to the spontaneity of the jet-set era, Escape: The Heyday of Caribbean Glamour takes the reader inside a world of beach parties and costume balls set in lush tropical landscapes, of rarefied resorts and fairy-tale private estates. Escape presents the visual history of the region's outstanding getaways, chronicling their transformations from pristine idyllic settings to personalized retreats where responsibilities could be left behind. Joseph Urban, Oliver Messel, Paul Rudolph, and other talented designers made these dreams reality, relying on regional design traditions to express the spirit of places like Antigua, Barbados, Cuba, and Jamaica, and sometimes inventing a new vernacular using fantasy imagery to emphasize the notion of escape from the pressures of urban living. Among these idealized settings blossomed the resort lifestyle of international celebrities, from Marjorie Merriweather Post to Babe Paley, Princess Margaret to David Bowie, whose escapades are spectacularly captured in these pages to make the region's bygone glamour come alive.